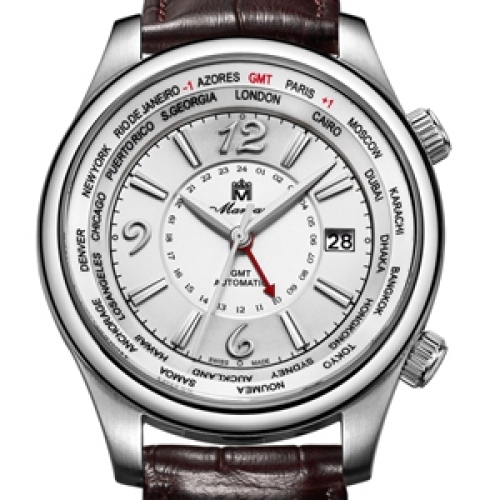 Manjaz embodies over 130 years of innovation and Swiss watchmaking tradition. Its Engineer Series travel watch now reflects this wealth of expertise. At the centre of the silver-toned dial, a second time zone is indicated with a red hand. 24 cities are synchronised on the flange. All the world’s time zones are revealed at a glance and adjusted via the dedicated crowns at 2 and 4 o’clock. This new-generation timepiece is graced with classic lines and a meticulous design. 88-piece limited edition.